The war in Afghanistan is over ten years old. It has cost countless lives and hundreds of billions of pounds. Politicians talk of progress, but the violence is worse than ever. 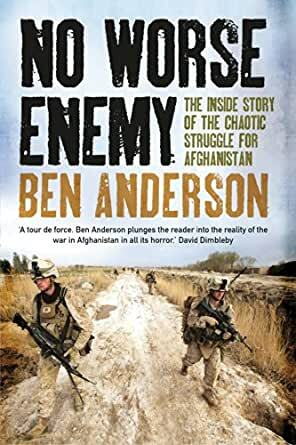 In this powerful and shocking exposé from the front lines in Helmand province, leading journalist and documentary-maker Ben Anderson (HBO, Panorama, and Dispatches) shows just how bad it has got. 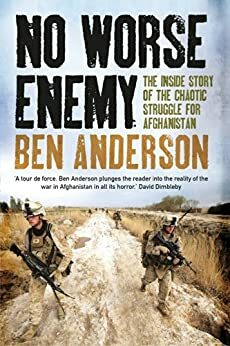 Detailing battles that last for days, only to be fought again weeks later, Anderson witnesses IED explosions and sniper fire, amid disturbing incompetence and corruption among the Afghan army and police. Also revealing the daily struggle to win over the long-suffering local population, who often express open support for the Taliban, No Worse Enemy is a heartbreaking insight into the chaos at the heart of the region. Raising urgent questions about our supposed achievements and the politicians’ desire for a hasty exit, Anderson highlights the vast gulf that exists between what we are told and what is actually happening on the ground. A product of five years’ unrivalled access to UK forces and US Marines, this is the most intimate and horrifying account of the Afghan war ever published. I ran into a snippet of this book reading, I think, a Vice magazine article online. It was written the way I expect a military book to be written - complete, brutal honesty with sprinkled vulgarity. The author gives the impression that they are ex-military (or at least have lived with the military for a long time, in life in death situations - which clearly he has, with vivid stories to prove it throughout the book), gives the impression that they are absolutely concerned with conveying the truth of what was experienced, as well as the truth of it as he looks back and does additional analysis. Is there a motif? Not an underlying motif - I don't think; at least not a contrived one. The motif seems to have naturally brewed itself from his circumstance. He was reading and hearing one thing from the press, and lived out a completely different circumstance. The author details the difficulties in winning the war, and as many have already, begins to document the unlikeliness of having victory in this war; simply because of the culture if not the taliban. Our enemies tactics are frustrating the locals. The war's leadership has made it clear that the enemy just has to out wait us and it has permeated to the ground roots. It's a lost war, and it's costing more lives and blood. Pride be damned, when we lost our commitment, we lost the war. If you do not know much about Ben Anderson, I suggest looking into his previous works. Anderson has a piece on Vice (its on Youtube) called "This is what winning looks like", and it sums up the Afghan war. However, this book brings a lot of truth about the war in Afghanistan to light. You get an idea of what Coalition troops think, the Taliban thinks, and what the civilians think. If you ever wonder WHY the war in Afghanistan is the way it is......just read this book. I have read a couple of books and watched several pieces Anderson has done, and I can say without a doubt, that when it comes to Afghanistan.....Anderson knows his stuff. This book is a good read and gives good insight into the war in Afghanistan. 5.0 out of 5 starsAfghanistan lost cause from the beginning? This is a good book to get an understanding of the chaotic conditions that take place in Afghanistan. Very similar to the Vietnam conditions with insurgents and counterinsurgency and the problems without enough troops to occupy every town and village outside the main strongholds of the US and Afghan armies. Corruption appears to be rampant as in Vietnam. We take and hold an area for a brief time only to pullout and allow the insurgents to move back in after our departure. The lack of commitment of the ANA to actually fight and win. Almost an impossible venture. This is another reminder of how difficult it is to invade another country with ground forces regardless of the reasons. There will always be homeland guerrillas who can outlast the invading armies and threaten the locals about what will happen once the "invaders" are gone. Afghanistan has proved this over its many years of history. Let me start by saying I am currently working with the Afghan Police in Helmand. I ordered this book based off of how well the authors documentary, "Battle for Marjah" accurately portrayed what is taking place over here. If you desire to fully understand what is really happening on the ground in Afghanistan, this book is a must read. It's portrayal of the interactions between the Afghans and the International force is spot on. I have read numerous books on the history of Afghanistan as well as books about Operation Enduring Freedom, until now I hadn't read a single one that better documented what takes place with the boots on the ground. You need not be a military scholar to read this book. I recommend it for anyone deploying to Afghanistan, interested in the war, interested in Afghanistan, or anyone that knows someone deployed to Afghanistan. The prose walks the perfect line between civilian and military readers. It is not full of military jargon, but it also isn't dumbed down too far as to insult the reader. As the author describes what is taking place, I feel as though he is writing about what we are doing here today. The interactions, the frustrations, the fights, the confusion, the cultural differences, all of them are very familiar. He doesn't spend an entire book opining on why it is happening, nor what will happen, he reports the sometimes dismal truth about what IS happening. The Afghan forces have stepped up to take the lead and what this book shows is that the lead is not a place they are used to being in. It will take time for the confidence and experience to show itself within the Afghan forces and as this book points out there will be bumps along the way. Mr. Anderson captures all of the failures as well as the successes of the beginning of the handover of Afghanistan's security and neatly packages them up into a skillfully written book that is guaranteed to keep the pages turning.